Seagulls are so much fun to watch and they are often good for a laugh. This one is enjoying the surf on the Silver Strand. 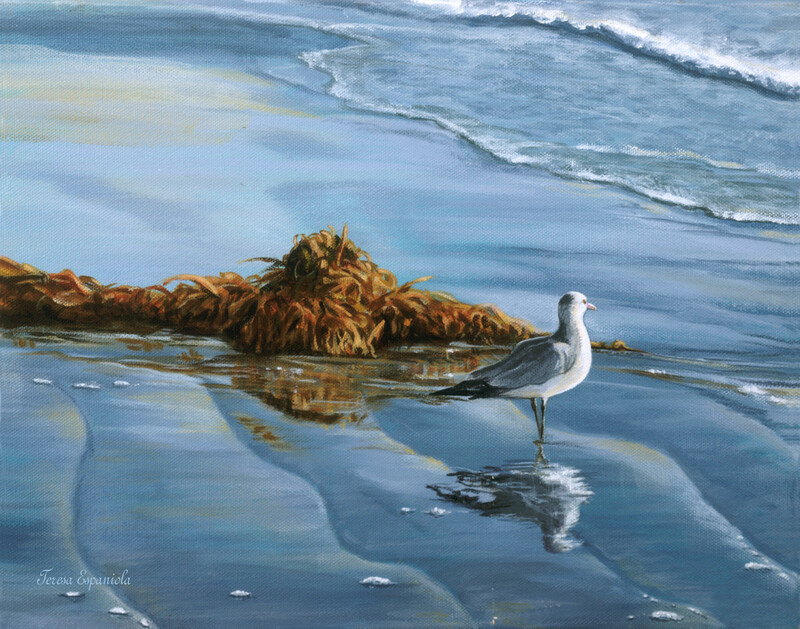 I love the way light reflects off of birds and kelp on wet sand. Original acrylic on canvas 14" x 11"